A lip balm containing essential oil of pine and pine extract, which make your lips silky and smooth. 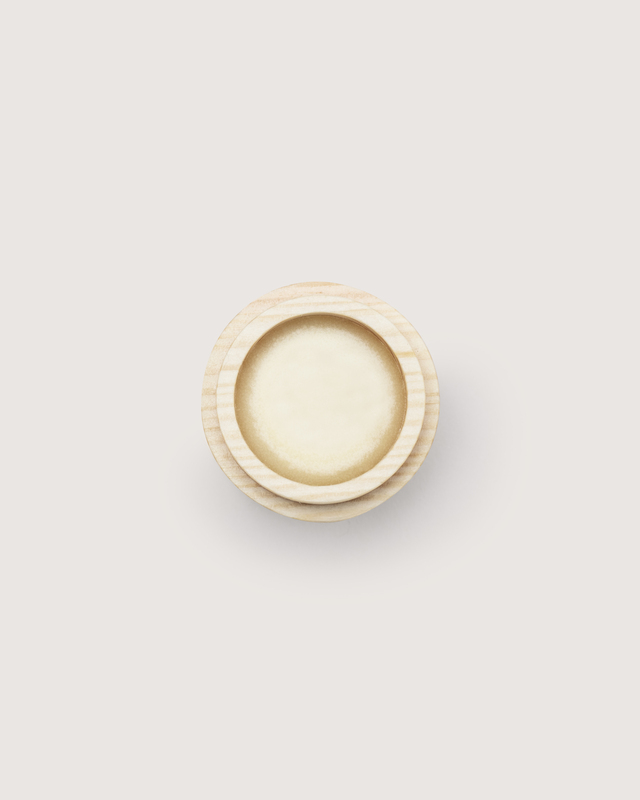 The lip balm has balancing and invigorating properties, and it carries the refreshing power of the forest. Leaves a smooth uniform colour and a pleasant feeling. Dry lips, elbows, knuckles or cheeks can cause trouble for both the young and the old. This lip balm efficiently moisturises and protects dry skin. This lip balm contains plenty of cold pressed vegetable oils which soften and nourish your skin - coconut, baobab, and almond oil, as well as shea butter and jojoba wax. This lip balm does not contain water and is thus suitable even for sub-zero temperatures. 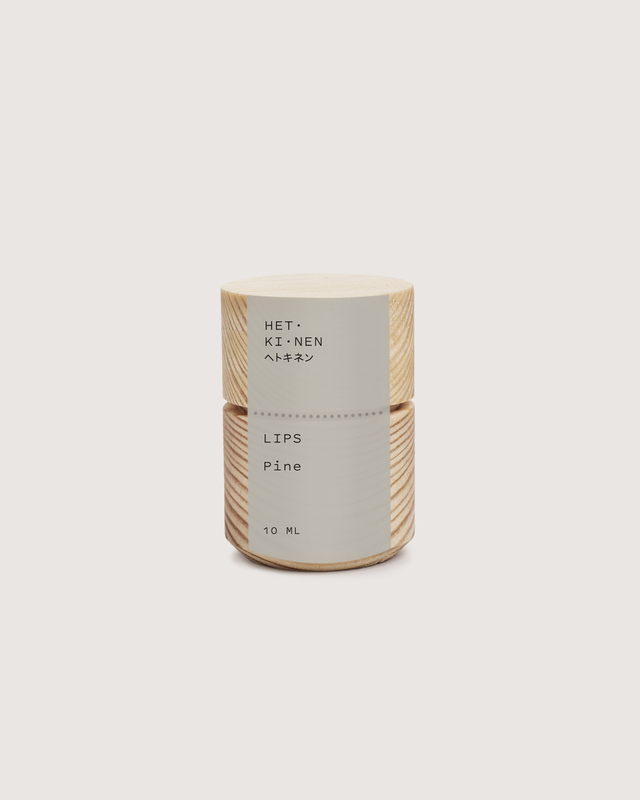 The secret of this pine lip balm: two different varieties of pine oil and oil extract made from genuine Finnish pine needles. The gentle and natural evergreen forest scent is like a pine needle in your mouth. Take some balm from the tub with the tip of your finger and apply to dry skin when needed. A tip! Excellent for the dry or cracked paw pads of your furry friend. Baobab oil helps the lip skin cells heal and renew. It binds moisture and enhances skin's natural protective functions. Baobab oil will give you silky smooth lips. Needles of Finnish pine extracted into almond oil. The needles contain a lot of carotene and vitamin C. The sweet almond oil needle extract soothes and softens the sensitive skin of the lips. Almond oil is often suitable even for people with nut allergies, as it contains no proteins. The pine needles have been collected from Finnish nature without harming the tree itself.